MANILA, Philippines – It is that time again for All Saints’ Day or Todos Los Santos, best known in the Philippines as Undas. The country’s uniformed personnel are on full red alert status, doing their best to keep travelers safe at the terminals across the Philippines. Almost everyone is traveling back to their respected provinces and hometowns to visit the graves of their departed loved ones. Everyone makes time to travel but a lot of people can’t do it because of financial problems. 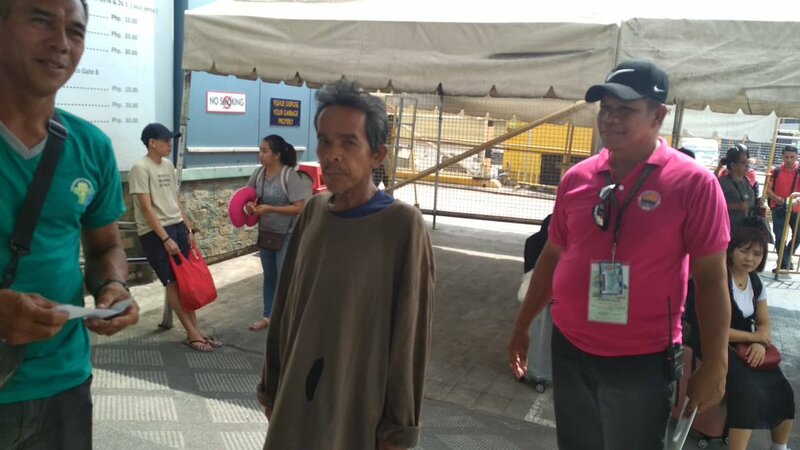 Ceferino Angco hails from Carmen, Bohol but has been living as scavenger in Cebu City for many years. For this year’s Undas, Ceferino wanted to go home to visit the grave of his departed parents but he had no money to pay for the fare which amounts to around Php500 just for the boat trip. Then, he had to take a bus to Carmen. But the lack of money did not deter Ceferino from trying to go home. Instead of stowing away in a boat or doing something bad to get the money he needed, the scavenger decided to do it the honest way by swimming the sea between Cebu and Bohol! So, on Sunday night, at around 11 o’clock, the scavenger jumped into the waters off Talisay City, Cebu and aimed for the island of Bohol. But the cold seawater easily led to him getting cramps. Amazingly, the man persisted on his goal to reach Bohol. Grabbing hold unto a slab of floating Styrofoam, he tried to paddle his way to the island using his arms but he was too small and untrained to even make great progress. By 8 am on Monday, some 9 hours later, he was just a few meters away from shore when he was rescued by the Bantay Dagat. People took pity on Ceferino after learning about what he was trying to do. Offers for help poured in on the social media channels that posted his story. 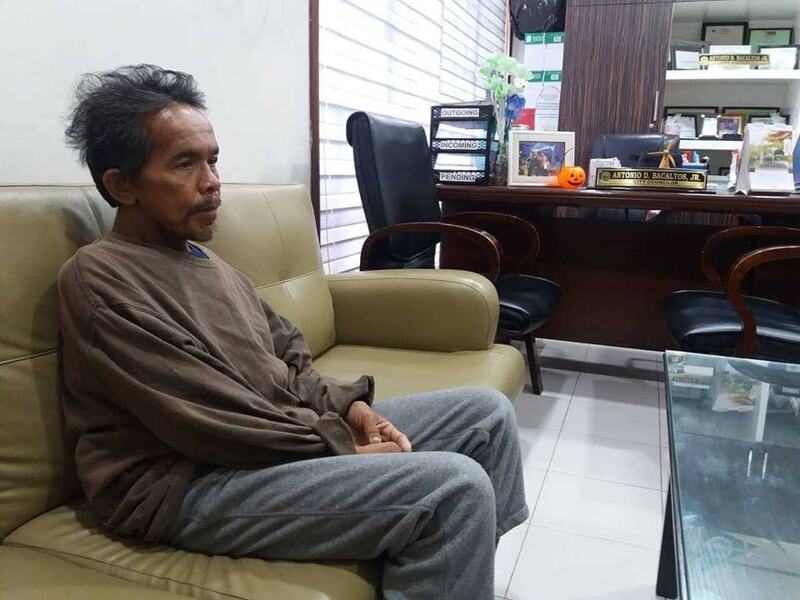 His story quickly went viral and people went to the Bantay Dagat Office in Barangay Cansojong, Talisay to provide assistance. 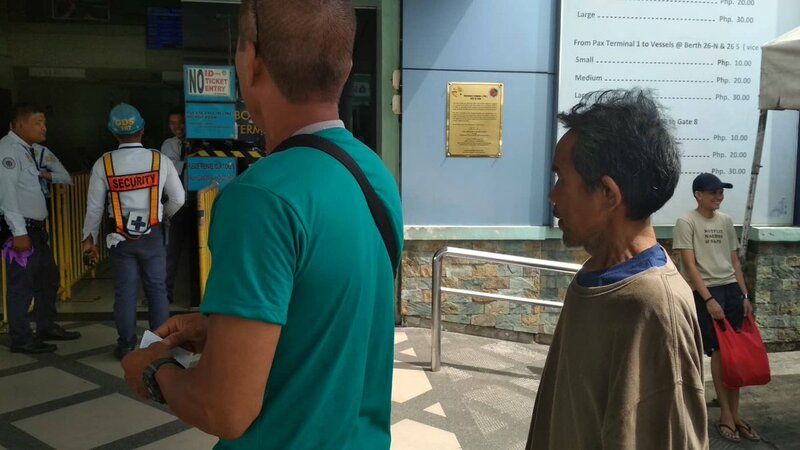 Talisay City Councilor Antonio Bacaltos Jr. even personally escorted him to Pier 1 in Cebu City to buy him a fast craft ticket for the 1:30 trip that afternoon. That very day, he was safe back in his hometown – and he has gained a lot of admirers who were in awe of his determination to get back home even if that meant doing something totally unbelievable and crazy.